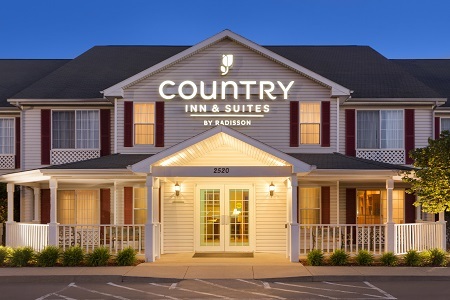 The Country Inn & Suites® by Radisson, Nevada, MO is the perfect place to take a break from your interstate drive. Traveling with students for a sports tournament? Our hotel is close to Cottey College, home of the Comets, as well as the Champion Diamonds baseball complex. You can watch dirt track races at Nevada Speedway, sample wines at DeLaney Vineyard & Winery, and learn about the Civil War’s impact on Missouri at the Bushwhacker Museum. In town to celebrate a special occasion? 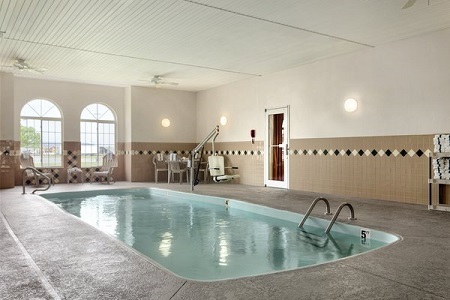 Book our Whirlpool Suite, which features a whirlpool for two and a king bed. 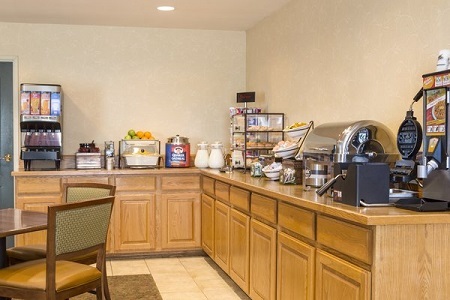 Start the day with Belgian waffles, yogurt or biscuits with gravy at our complimentary, hot breakfast. If you need a quick bite, grab a bagel and a cup of coffee before rushing out the door. For lunch or dinner, you can walk next door to Buzz’s BBQ, which gets rave reviews for its smoky burnt ends and huge selection of veggie sides. Or try one of several other dining options within two miles of the hotel. Nevada Speedway – Race fans can feed their need for speed at this dirt-track venue, featuring stock car and modified racing series as well as go-kart racing. Purchase a pit pass to get even closer to the action. Bushwhacker Museum – Be sure to visit this museum, just two miles from the hotel, to see Native American exhibits and Civil War artifacts from the Vernon County region. Champion Diamonds – In Nevada for a tournament? We’re just five minutes away from all the baseball and softball action at this complex. 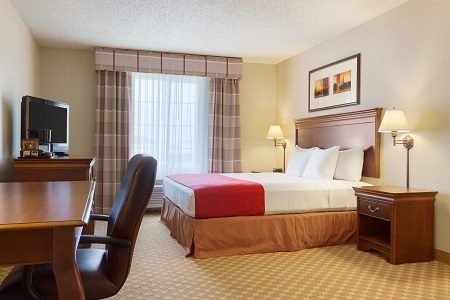 Host a graduation party, team huddle or corporate event at the Country Inn & Suites, which features a meeting room for up to 20 guests and free Wi-Fi. We can provide drinks and snacks for your group as well as catering recommendations. If you’re in the area for a sporting event, take advantage of our Sports Approved Program, which offers perks and discounted rates for teams. 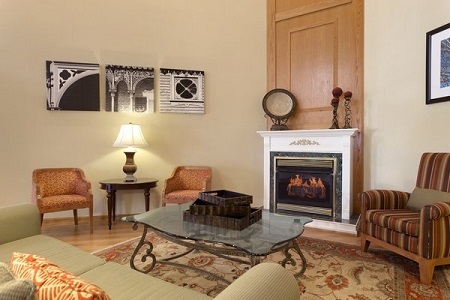 *Pet Policy: There is a $50 refundable deposit per stay and a $25 per pet, per night nonrefundable fee. Dogs only are allowed. Reservations must be made with the hotel directly.